Before I got all hot under the collar yesterday about that news item on the BBC website, I had meant to write a quick post following my meeting with the lovely LJ, one of the DSNs at the hospital. I gave her a potted history of the last two years (I've not really been in contact with the DSNs much for a very long time), the improvements I been able to make and the challenges and issues I still face. We talked hypos, warning signs, fear of driving, fasting and overnight levels, gym visits and everything in between. I explained my lingering uncertainty with the whole idea of pumping which some of you will know all too well. I've been bleating on about it for years. Essentially it comes down to this - having got as far as I can with MDI, I am at the point where I see it as a clumsy, slightly imperfect way of mimicing the action of a pancreas. Pumping, on the other hand, is an incredibly subtle, but still slightly imperfect way of mimicing a functioning pancreas. However I am convinced that more problems would be solved than created, and the lingering doubts I have will never go away except by experience. 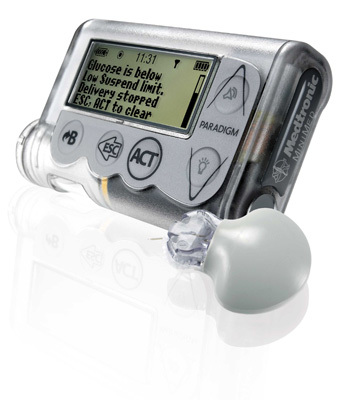 LJ has suggested that she recommends to my consultant that I begin insulin pump therapy (I have requested a Paradigm Veo to give me the option of self-funding the CGM facility whenever I need/can afford it). If the recommendation and funding is approved it is possible I could be pumping before Christmas. I'm unexpectedly excited about it, and if I'm honest, just a little bit scared. There are many hopelessly inaccurate news stories published about diabetes, too many to count, but this is the first one whose tone was so indefensibly vile that I have been moved to immediately write a letter of complaint. Accurate and impartial this wasn’t. Not even close. If I try really hard, and because I know a good deal about the subject I can just about glean the real story here - that some people with diabetes are being given different treatment options in the wrong order. If I read through layman’s eyes, I'd see everyone with diabetes as a scandalous leech on the NHS’s purse. A costly and, if I build in information from most other media coverage (including that on the BBC), largely self-inflicted plague on society. I read a lot about obesity causing diabetes. I read a lot about the ‘lifestyle’ disease. I don’t often read that only around 10% of those classed as overweight or obese in the UK are diagnosed with diabetes. I never read that a significant proportion of people diagnosed with type 2 diabetes are normal weight or underweight at diagnosis, and that those who are overweight have in all likelihood been gaining weight for some time as their body begins to struggle to metabolise carbohydrates. I rarely if ever read a media article that properly distinguishes the metabolic disorder and autoimmune disease. The recent Diabetes UK campaign to highlight the huge number of people with diabetes in the UK who are not receiving the basic checks to ensure their health went largely ignored. It is suggested that 90% of the cases of sight loss in diabetics could have been prevented with earlier identification and treatment. But those things don’t fit the default media’s diabetes stereotype of “fat, lazy and all their own fault”. I have been using insulin as a treatment for diabetes for over 20 years and I wish to point out to Helen Briggs that there is no such thing as a ‘designer’ insulin. Insulin is not something I choose to match my summer wardrobe. This is not some flimsy, inconsequential part of my life. All insulins are not the same. Diabetes is a complex condition to manage. Whether type 1 or type 2, every single mouthful one eats has to be considered. For those using insulin, particularly rapid-acting analogues, the timing, dose and activity curve of the insulin needs to be matched as closely as possible with the likely absorption of carbohydrates in food, while factoring in exercise, illness, stress, even ambient temperature. The target blood glucose range that I am asked to hit is so tiny that the permitted BG meter inaccuracy of 10-20% almost entirely covers it. And if I stray very far outside that target? Blindness. Kidney failure. Nerve damage. Heart attack. Loss of limb. Coma. Death. The benefits of using the very best treatment options available to me are not ‘modest’. My circumstances are not ‘exceptional’. The potential consequences of using inappropriate treatment options to save the NHS ‘£625 million over 10 years’ in the short term, could cost the NHS a great deal more in the treatment of unnecessary diabetic complications. I have been diabetic long enough to pre-date analogue insulins. I’ve used the cheaper human formulations and they are not ‘just as effective’. Not for me, and not for many others. 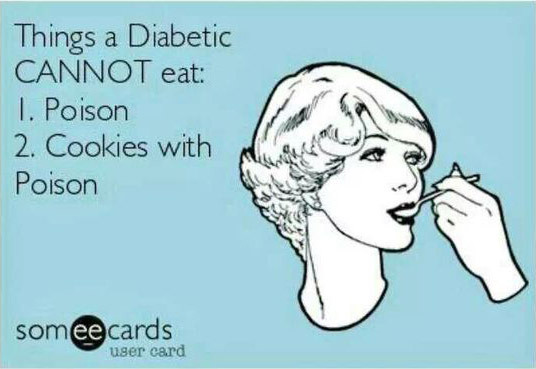 I accept that diabetes is costly to treat. I accept that incidence is increasing and that this raises concerns over the future cost to the NHS of treatment. What we need though is better treatment. Better education. And above all better, more balanced, more informed coverage in the media. Shame on you BBC, I had thought better of you. Just came across 'Timesulin', which is a replacement cap for insulin pens which records the amount of time that has passed since the last injection. As a person who actually changed insulins to get a 'Memoir' pen with a dose memory this simple solution to part of the problem ("Hang on... have I injected or not...") appeals to me. Since having the Memoir I know I often check to confirm the exact timing of doses. Sadly however the Memoir is currently unavailable and Novo Nordisk's Novopen Echo is still not scheduled for release in the UK. So at the moment there is just no MDI device that records the timings of your injections. 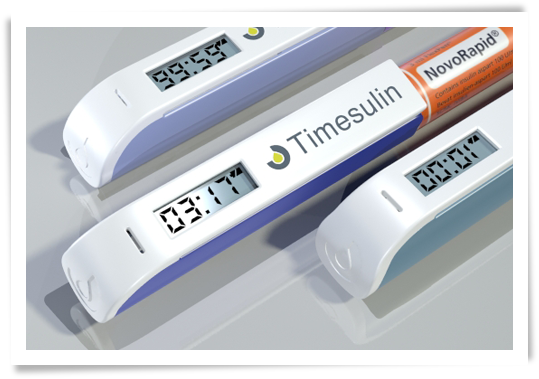 Enter 'Timesulin' an ingenious digital timer which can be used as a replacement cap for your existing insulin pen (currently only Kwikpen®, Flexpen®, Solostar® are supported). When you remove the pen cap to inject the timer resets to zero and begins to count up again. So by looking at the pen lid you can tell how many hours (or minutes) have passed since you last injected. Cleverly if you pop the pen lid off to check how much insulin is still in the cartridge (or whatever) the timer keeps counting. It only resets the timer if the cap stays off the pen for more than 8 seconds. At the time of writing the Timesulin caps themselves are 'in the final phases of production' and are due to be available for purchase from mid-November 2011. So today was the day. My long awaited (and only slightly delayed) annual review. As far as I can tell most, possibly all of the old clinicians have left the hospital I attend, so there were new faces to meet. It was great. My appointment started promptly and my discussions with Dr S were unhurried and thorough. A little too thorough, perhaps. Apologies if you were after me, I think I stayed and chatted for a bit longer than I usually would. 'Smile and nod' this wasn't. It felt more like a fruitful exchange of information. And if Dr S was bored senseless and wished I would get lost, she certainly gave nothing away. I was pleased to learn that my HbA1c had dropped from 7.1% to 6.3% (45mmol/mol in new money). Dr S pointed out that that was the sort of level at which they get begin to get concerned about the number of hypos that might be involved, but thankfully I'd taken a sheaf of printouts showing that I'm having far fewer these days. Other results showed an unexpected drop in cholesterol to 4.7 (with an improvement in the lipid panel split of 2.1 HDL, 2.3 LDL and 0.7 Trigs - yes I realise that doesn't add up, calculated values sometimes don't it seems). Blood pressure, while occasionally higher than ideal, is generally low enough at either end of the day to pass muster. 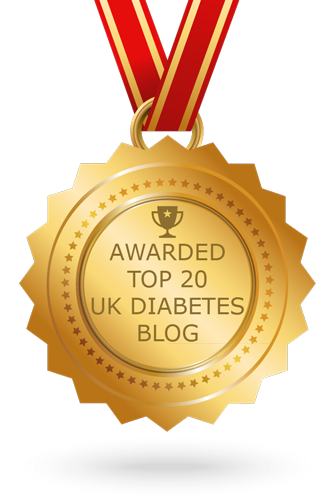 I should take this opportunity to thank the Diabetes Online Community for their amazing support and encouragement over the last year or two. 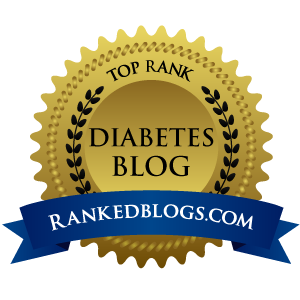 Forums, blog posts and comments left here have had a major impact on the way I am able to manage my diabetes. Things that I had thought impossibly illogical for years have been made much clearer. You guys rock! And as for the *big question*? Well as I talked through pretty much all the issues I still have with Dr S, we agreed that all of them would be easier to handle on a pump. I have booked an appointment with a DSN to talk pumps, Levemir and other options. 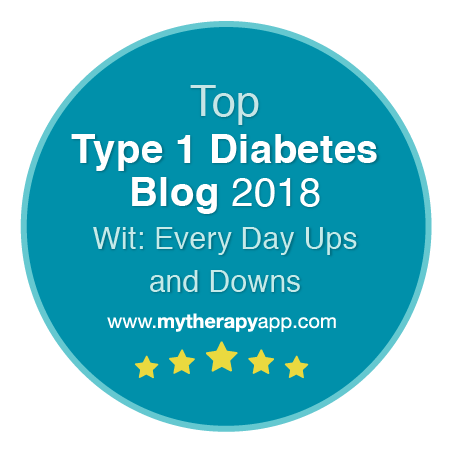 I was asked a few weeks back if I would take a sneaky-peek preview of the new Diabetes UK iPhone App by Public Zone and write a review of it. In a proper bloggy 'disclosure' type way I should point out at this point that I have not been paid to write this review and although approached to be part of a focus group earlier in the project (I was not able to take part) I have had no part in the development of the app. The app is a free download in the iTunes App Store. What follows is simply my own appraisal having tinkered with the app this weekend. No more, no less. I should probably also point out that I am fairly picky by nature and can almost always find fault with anything. If you want to know my general feeling read the 'overview', if you want a fuller breakdown of what I thought proceed to the nitty gritty. D Tracker is an application that allows you to record all sorts of Diabetes-related information on a variety of Apple devices (iPhone, iPad and iPod Touch running IOS 4.2+). I am not sure if the intention is to create versions for other mobile device architectures eg Android, but I guess a successful launch could lead to other versions. I've had various periods of diligent record-keeping and complete data deserts in my time. But what I do know from experience is that keeping an accurate record of, at the very least, your BG, doses, food intake and level of activity/illness is hugely helpful in trying to spot patterns and improve diabetic control. After a period of recording in notebooks I have in more recent years converted to recording electronically. And the ability to do so quickly and easily with something that is in my pocket anyway makes an app potentially an ideal solution. I am aware as I write this, that Diabetes UK have had a pretty tricky job on their hands in putting this app together. They represent all different types of people diabetes, from the regular types one and two to other more exotic versions. They also deal with anyone from the newly diagnosed to old hands like me. Parents and carers of diabetic children or relatives. Occasional record keepers and data junkies. I have to say, with a few reservations, that I think they've done a great job. There are some great fresh ideas here, and some really useful tools that I've not seen in other recording apps, or at least not all in one place. I think this is part of the challenge in developing a new app. There are plenty of others already available, so the trick is doing everything well and also trying to bring something new. Data entry and editing is easy enough, and there is a LOT of data that you can enter and track. From the obvious blood glucose and insulin doses to carbs, ketones, calories and weight. You can even record how you are feeling at any entry to track the effect of mood and stress levels. Adding a note (which you can even share with Facebook or Twitter of you are so inclined) allows you to record any other info relating to the entry. Recorded results can be shown on either daily or per-week graphs on which you can show any or all of the data you have recorded by way of colour coded data points and (in some cases) connecting lines that show the trend. The list view is just that, a vertical scrolling list of the records. It might have been nice to have an option for a tabular format, but I suppose with the number of data entries that can be stored in each record a table was felt impractical. I particularly liked the way that different records can be flagged as 'talking points'. These are then stored as a list (in folders if you want to organise things still further) for later reference in the 'My Health' section. Another first, and stroke of genius I felt, was that you can take a photograph as part of a record. I was taught to count carbs at diagnosis, but I realise that this is not the case for everyone, particularly type 2s. If estimating carbs on a plate at 50 yards is not second nature to you, you could simply photograph what you ate, record your BG levels and then have that image to refer back to when trying to analyse the results that follow. Now this being a Diabetes UK sponsored app (and free to boot) you will not be surprised to hear that here are links and contact details to DUK and the Careline; and yes, even a 'donate now' button to support the Charity's work - but these are very low key and certainly do not get in the way of the app's main functionality. There are also very useful pieces of pop-up explanatory text every so often providing extra information about weight, BMI and so on, with links to the DUK website. The 'My Health' section allows you to keep track of all sorts of other bits of info, your latest HbA1c for example, neatly date-stamped when the entry was created or updated. You can also keep track of forthcoming appointments, contact details and so on, keeping all your diabetes stuff in one place for easy reference, and perhaps even 'in case of emergency' use. So far, so good. But here is where I put on my picky hat. Sorry about that. There are lots of different diabetes and weight-monitoring apps on the market, and I think this app does what it sets out to do. Depending on the level of data analysis you are after, the D Tracker will either suit you, or not. One of the strangest things about the app for me is that there are almost no user-definable settings or adjustments that can be made to tailor it to your own preferences. Weight must be entered in stones and pounds. Ketones must be entered in mmol/L. Even the 'How are you feeling' choices are predefined and unchangeable. I also have a bit of a problem with the graphs. This always seems to be an aspect of these apps that I struggle with. For a start the graphs only ever show in portrait orientation, and at the scale of the single day graph, each day is so long that if takes fully five screens' width to get from midnight to midnight. Five. Added to this the vertical scale is fixed to the apps max and min values. In BG terms this runs 0-33mmol/L which, combined with that long x-axis made some rather erratic entries I made look reassuringly flat. The problem is exacerbated by the fact that the graphs can carry lots of different data sets, depending on what you elect to track, so there is no information shown about what the y-axis represents. I can't tell whether I was high or hypo, only get a vague sense of whether I was going up or down. Some colour-coded dotted horizontal markers for max/min or target levels which turned on and off with their respective data would have been a great help. On the graphs, some data points are joined by lines, others (insulin doses for example) are shown as data points only. Oddly it was decided to track carbohydrate consumption with a trend line linking different meals in the day. I'm not entirely sure why that was. The 'week' view gives a list of days with their data either averaged (eg blood glucose) or shown as totals (eg insulin doses). This data can also be shown on a graph, again without the benefit of a y-axis legend. There is no apparent data analysis for a wider scope than a calendar week. If you want to see how things shape up over 14, 30, 60 or 90 days you would need to get your calculator out. More detailed number crunching for BG data, to offer Standard Deviation for example, is not available. While I love the 'Save as a talking point' feature, I do wish it was not restricted to individual records. More often than not, what I find I want to discuss is a whole day's worth of results, or at very least a sequence of before and after. The real disappointment for me as far as this app goes though is this - there is no way of exporting your carefully recorded data at all. The best you can do is to email yourself an image of one of the less than perfect graphs. Different BG recording apps seem to take different approaches to data export. Some link you in to online accounts where your data can be uploaded, others (including my favourite) allow you to simply email yourself a copy of the tabular data and a .csv file that (depending on your level of geekery) you could import into a spreadsheet program and manipulate to your heart's content. The D Tracker offers neither. If I record my data with it I cannot print out my results and take them to my next clinic appointment. If I want to leave the data with my team, I'd need to leave my device. I think the D Tracker is a great first effort from Diabetes UK. They, and their developers are to be congratulated on providing a very useful tool for monitoring a very complex condition. There are some great features and functions here, and some very interesting new ideas. I'm sure many will find it a great help, and I look forward to seeing new and improved versions in the future. Get the Diabetes UK D-Tracker App free here. 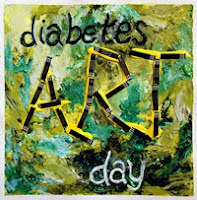 September the 1st is Diabetes Art Day, the brainchild of blogger, art therapist and all round good egg Lee Ann Thill. It's an chance for the DOC to get creative and try to say something about living with diabetes in a slightly different way. 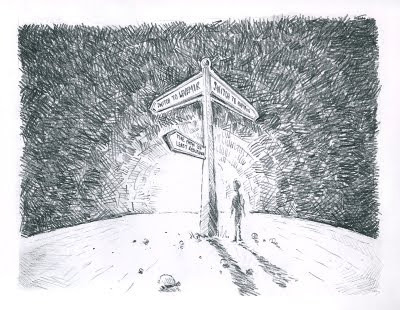 I really wasn't expecting to be able to take part, but while watching telly a couple of nights ago I began scribbling something that sort of represents how I've been feeling for a week or two, and so - here it is. As I said in my last post, my Annual Review is coming up, and I've finally decided (I think) that I'm going to ask about pump therapy. You can probably sense my uncertainty about my decision in the drawing. Essentially I see two ways forward. One way ('Switch to Levemir') might offer a slight improvement to control with the inconvenience of an additional time-fixed basal dose every day. No problem most of the time, but on occasional nights out/parties/holiday travelling possibly slightly 'in the way'. I'd also have the hassle of sorting out my new basal pattern(s), of course. Lots of testing and tweaking for a good few months. So minor improvement, but still a bit of a faff. The other way forward is to switch to pump therapy. A full explanation of what I'm feeling about this, or expecting from will have to wait until later, but in summary: potentially major benefits, but much more of a faff. All you dear pumping friends who have been telling me for the past few years how great pumping is and how you'd never go back despite its shortcomings have got me to a point where I at least feel I need to ask the question. You never know they may just say I'm not eligible for funding (HbA1c too good, hypos not bad enough, wrong hat size, moon in jupiter...). But at least I'm going to ask. 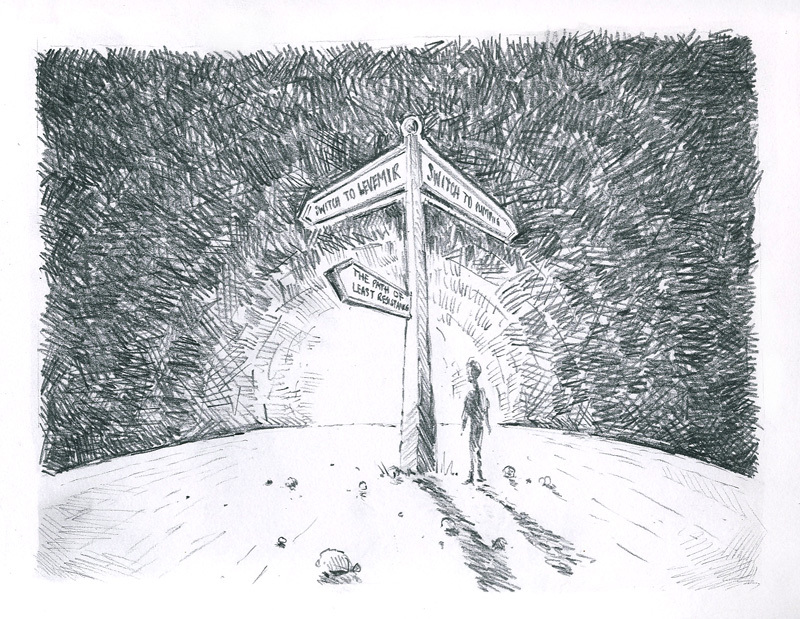 There is a bright light ahead, but I'm feeling a bit lost about it and I don't know (can't know at this point) which the 'best' way forward is. 'The path of least resistance' is to go back the way I came and choose nothing. But I'd rather walk towards the light. Frestyle Libre available on prescription. Again.